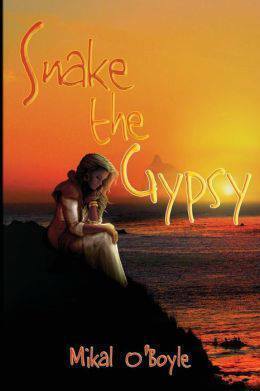 Enchanting and full of adventure, the story of Snake the Gypsy, narrated by an elderly Snake, is a recounting of her life as a young girl. It begins with a lonely gypsy girl who is ostracized by her own nation and is neglected by her unsympathetic mother. Times seem very hard for her as she struggles to find happiness in life until she finally befriends an extraordinary snake who follows her, protects her, and even dances with her during her rigorous training sessions. When the time comes for Snake to enter into the Loce, the bi-annual gypsy festival, a horrible fate befalls the gypsy girl and her snake, deserting her in a place she is unfamiliar with, but she soon discovers that things have become even worse as she has stumbled into the midst of a war between two very unlikely beings. After nearly enduring a painful death, losing her heart for the first time, and sacrificing herself for a hopeless cause, Snake the gypsy continues on to become the elderly woman who narrates the story. The only question is, how true is a gypsy's story?